Rabbi Josh Zebberman was born and raised in Tarzana, California and received his rabbinical ordination from preeminent and renowned rabbis in Brooklyn and Monsey NY. 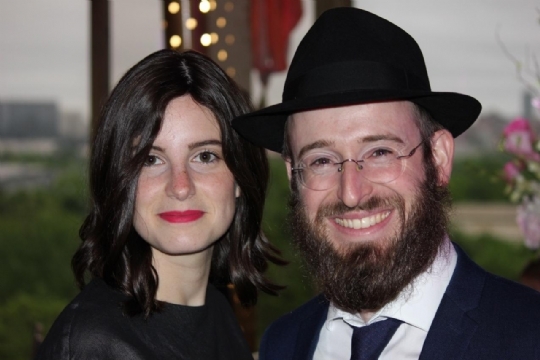 As chaplain at Los Angele’s Cedar Sinai Hospital, Rabbi Zebberman supported and counseled Jewish patients and families and he is presently studying to receive his Master’s Degree in Marriage and Family Therapy (MFT). A gifted teacher, Josh exudes a passion for and commitment to Jewish adult education and community. Chavie Zebberman was born, raised, and educated in Montreal, Canada. Chavie completed her studies in Milan, Italy where she received her degree in teaching and education. As an educator of Jewish youth, she has served Jewish communities in New Orleans LA, Westpost CT, Victoria Island BC, Brooklyn NY and Montreal.